Short Hills, NJ, March 24, 2016, Alison Grann, Medical Doctor at Short Hills Radiation Oncology Associates P.C. and the Chairwoman and Radiation Oncologist at the Department of Radiation Oncology at Saint Barnabas Medical Center, has been recognized by Elite American Physicians, for dedication, achievement and leadership in research and treatment in breast cancer, hypothermia, brain tumors, prostate and lung cancers. Dr. Grann’s interest in the medical field was sparked during her childhood, where she would accompany her father on house calls, passing onto her the interest of medical oncology to her. It was during her undergraduate studies that she decided to pursue the same field as her father. Now, with 20 years of experience, Dr. Grann is leading the way in the treatment and management of breast cancer. While maintaining awareness of how important her work is, she builds trust with her patients through her promise to provide the best care as possible. 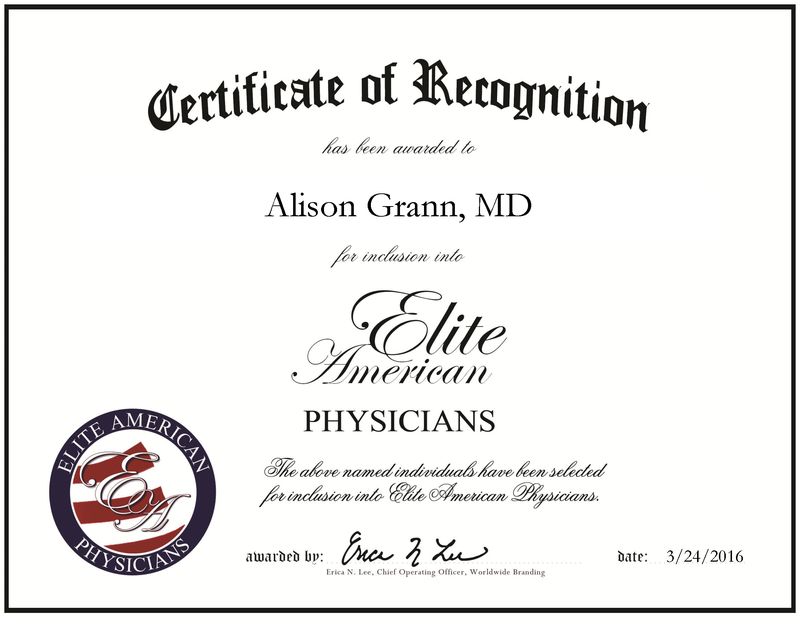 In order to get to where she is today, Dr. Grann earned an MD from George Washington University. From there, she fulfilled residencies in internal medicine at Beth Israel Deaconess Medical Center and in radiation oncology at Memorial Sloan-Kettering Cancer Center. From 2012-2015 she was recognized by Castle Connolly Top Doctors in Radiation Oncology in the New York Metro Area, and as one of the Best Doctors in America from Saint Barnabas Medical Center Excellence in Caring. She maintains connection with her industry through the New York Metropolitan Breast Cancer Group, the American Society of Breast Disease and the American Society for Radiation Oncology. This entry was posted in Oncology, Radiology and tagged breast cancer, medical doctor, oncology, radiation, radiation oncology, research. Bookmark the permalink.